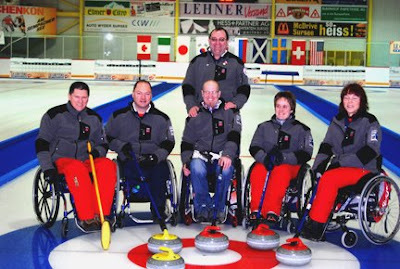 Team Norway, winners of the last two World Championships, are due to arrive in Victoria on Sunday where they will prepare at the Juan De Fuca Centre prior to coming to Vancouver on the 19th. Coach Thoralf Hognestad said last year that the team was hoping for a 3-peat and felt Canada, Korea and China would be the teams to beat. Today he was more circumspect. "We are hoping to get to the semi-finals" he said. "After that, anything can happen. Hmmmm......"Armstrong Factor" in the way of their success???????????? ?